For the daily supply of invertebrates. Prevents fading of corals. With traces of bromine, potassium and fluoride. For 50.000 l.
The trace element iodine must be added on a regular aquarium. It has the feature fall very quickly, which is further accelerated by the addition of ozone, filtering through charcoal or adding Defoamer. Furthermore, iodine is deteriorated by the effect of light. A deficiency of iodine inhibits the growth of invertebrates and corals, and involves fading. 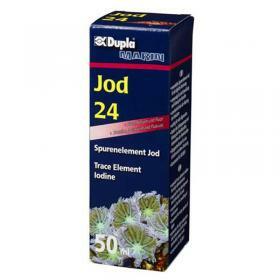 DuplaMarin Jod 24 color and encourages the growth of coral, optimizes the adjustment in the light of different lighting conditions and helps to neutralize the excess oxygen produced by zooxanthellae. Echinoderms need iodine for the growth of their shells, crustaceans and shrimp for hardening of the chitin carapace after moulting. 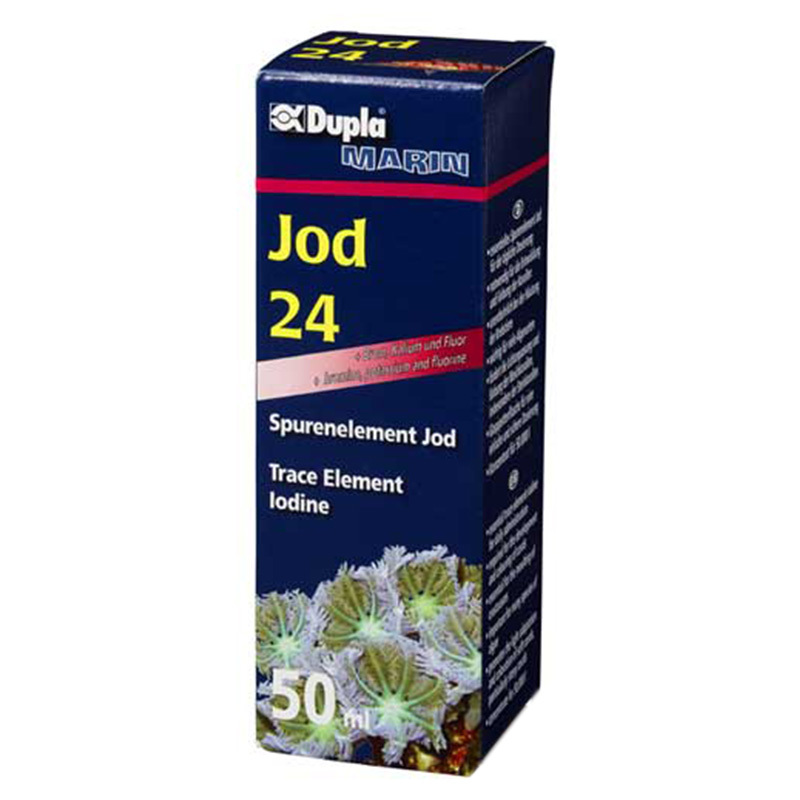 For the long-term care of the colonies of Xenia and various types of algae, such as several species of Caulerpa, Halimeda, and many brown algae, it is essential regular administration DuplaMarin Jod 24. For fish, iodine, as a component of thyroid hormone, inhibits the growth of the goiter. The product can be stored at room temperature. To avoid a reaction with the plastic, DuplaMarin Jod 24 is supplied in a glass bottle impervious to light.